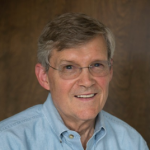 The Genetics Society of America (GSA) is pleased to announce that William “Bill” Wood (University of Colorado Boulder) has been awarded the Society’s Elizabeth W. Jones Award for Excellence in Education in recognition of his significant and sustained impact in genetics education. “Dr. Wood is one of the pioneers in the reform of science teaching. He believes that teaching should be more than just lecturing and should utilize our knowledge of how people learn, should pose authentic problems in teaching, and engage the learner in the learning process.” said Rachelle Spell, Senior Lecturer at Emory University and one of those nominating Wood for this honor. In addition to his contributions to bacteriophage research and developmental genetics, especially in C. elegans, Dr. Wood has long been dedicated to the development of innovative pedagogical approaches and high-quality undergraduate science education. He was an author for several textbooks, in biochemistry, immunology, and molecular biology, and has contributed to several National Academies studies related to science education. He is especially recognized for his leadership in helping to develop the National Academies Summer Institutes on Undergraduate Education in Biology, which has played an important role in improving undergraduate instruction nationwide. A strong proponent of instruments for student assessment and evaluation of teaching, Bill collaborated with education researchers to create the Genetics Concept Assessment, a tool that measures the impact of active learning techniques on students’ conceptual learning. His work helped to initiate a national trend of evidence-based reflective teaching and active learning. Dr. Wood served as Editor-in-Chief of CBE–Life Sciences Education, a peer reviewed journal published by the American Society for Cell Biology (ASCB), with GSA as an editorial partner, and until recently was an active member of its editorial board. He has also been a tireless advisor to groups including the National Research Council, Howard Hughes Medical Institute, and The College Board. Wood is a founding member of the Society for the Advancement of Biology Education Research, a Member of the National Academy of Sciences, and a Fellow of the American Association for the Advancement of Science, the American Academy of Arts and Sciences, and the American Academy of Microbiology. He has also received education awards from the ASCB and the Society for Developmental Biology. The award will be presented to Dr. Wood at The Allied Genetics Conference, July 13–17, 2016, in Orlando, Florida.